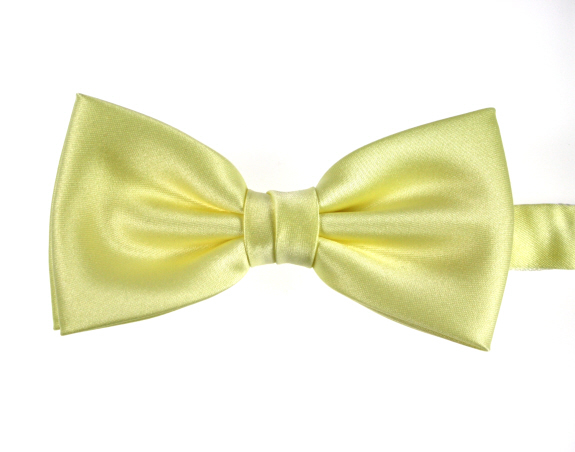 Plain lemon coloured adjustable bow tie. Pre-tied. Satin. Adjustable length 14" (36 cm) to 18" (46 cm) neck size approx.